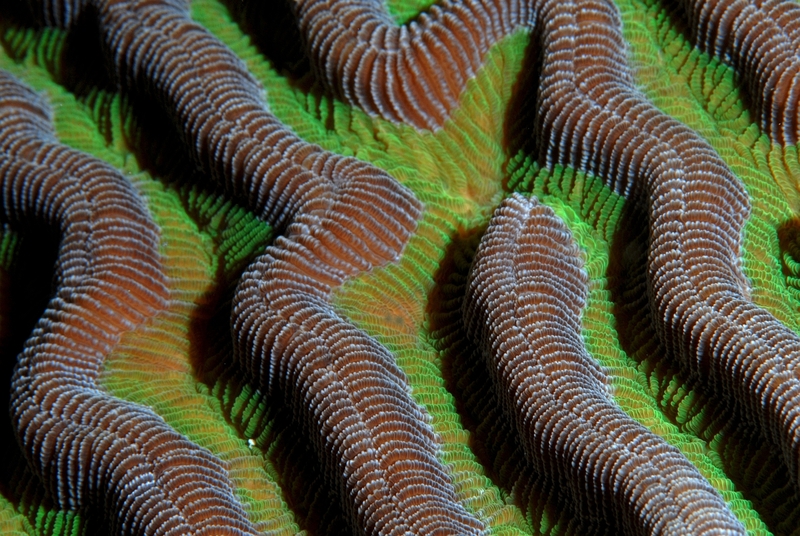 Colpophyllia natans is one of the most important reef-building coral species in the Caribbean. Its impressive surface topography with alternating valleys and ridges is highlighted by colorful pigments, embedded inside the coral tissue. The coral tissue is actually only a few millimeters thick and covers the underlying coral skeleton which can form huge rocky formations up to a few meters in diameter. I investigated the effect of environmental stressors on this coral species during my PhD thesis.